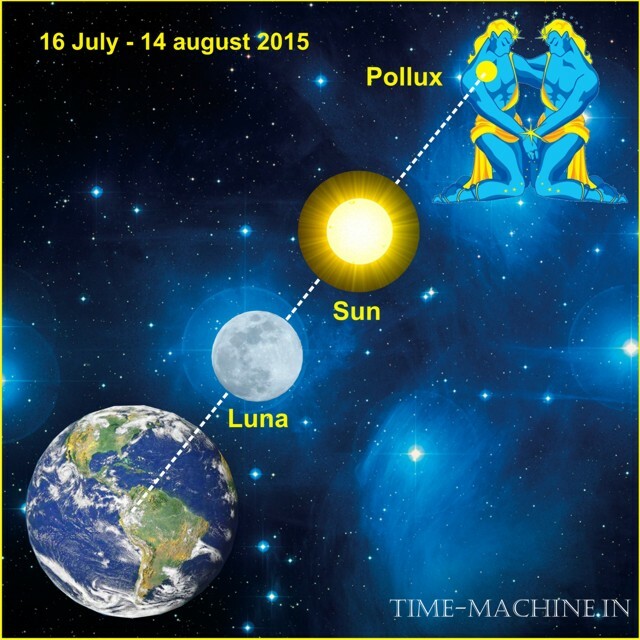 July 16, 2015 New Moon in 24 degrees of Cancer. Ahead month of pleasure and enjoyment. But not for all ... Lucky only prudent and fair. Star Pollux, the nearest steward of the lunar month, will protect the righteous in any case and make a person totally defenseless in any case is not fair. Once a person starts to help cowards and scoundrels as soon as the worm of doubt has arisen in it - in this man and everything is crumbling around him. We can say that next month many - month truths, the check "for lice" ... trying something "pinch", to draw, to hide themselves, do not give to others, may soon lose everything (treasures, social status, etc. .) and badly cut his life. Reasonable people, as a result, the next month will give great optimism and opportunity to shine their talents. Courage, courage and justice - that's the motto from 16 July to 14 August 2015. The forecast is particularly relevant for people, communities and events born near the date 15-16-17 July 15-16-17 November 12-13-14 March.